Designed for use with MOE and ACR™ (Adaptive Combat Rifle) Hand Guards, the MVG is a basic, light weight, cost-effective vertical fore grip that attaches directly to these hand guards without any rail needed. 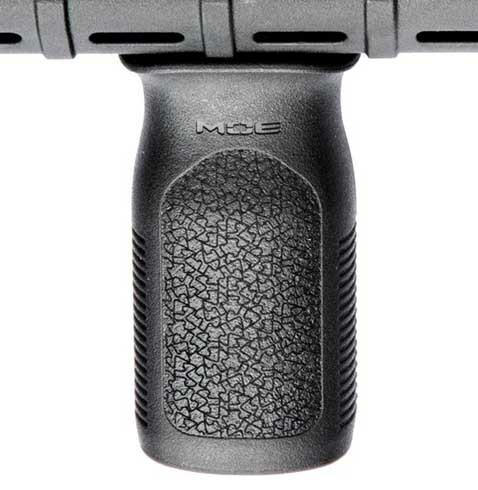 Shape is ergonomically designed for use as a traditional vertical grip. It has also been optimized for use with the "thumb break method" of shooting as taught by Magpul Dynamics.SM.